Lapis VIP: With an iPhone knocks various opportunities to get access to the tweaked and hacked applications on the door. The iPhone users have got a lot of third-party app stores available in iOS that allows them to download the modified and hacked iOS applications for free. But there’s a catch-22 as well. These modified and tweaked apps are not ad-free versions. So, you get troubled by the ads in between when using the app. But though we seem to enjoy all the extra features and functionalities of the tweaked apps, the ads ruin our experience. 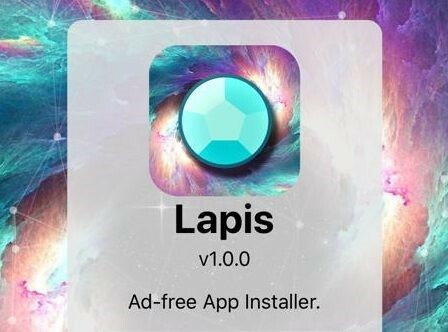 So, here we are introducing you a third-party app store that will provide you the ad-free tweaked apps such as YouTube++, Whatsapp++, etc., and this new third-party application is Lapis VIP. The Lapis VIP is a third party app store that provides ad-free versions of most popular and favorite tweaked application a free of cost. This is something that made this new third-party app store a cornerstone. Must Check, Similar App: “vShare App Download on iOS“. Getting into the insights of this third-party app store, the Lapis VIP has a generously-sized inventory of the tweaked applications like Spotify++, Instagram++, etc., and the hacked games like PubG and many more. The store also provides the paid apps found in the original app store for free. So, this is something that made Lapis VIP turn heads of many iOS device (iPhone/iPad) users. But before we move on to learn about Lapis VIP download and installation process let us first have a glance at the amazing feature this third-party app store has under its hood. Lapis VIP iOS, this third-party application store is compatible with iPhone/iPad running on the versions iOS 12-12.1/11 and iOS 10/9. Moreover, you don’t have to jailbreak in order to Install Lapis VIP. The fact that the application is available free-of-cost is something that makes it the most popular among iOS users. It provides 25 iOS applications tagged as Top 25 and are ad-free. If a user wishes to download more apps, the Lapis VIP iOS store provides a category at the bottom of the screen called as “App Store Apps” and “Hacked Games”. But the apps in this section are not ad-free. Lapis VIP iOS app is a web-based application that provides you tweaked and ad-free version of applications such as Tinder++, WhatsApp++, Spotify++, Instagram++, Popcorn Time and many more. The installation process of an application in Lapis iOS is simple and easy and just requires the user to visit the app store and tap on the application the user wishes to install and as usual you get back to home screen and tap on the dim icon to force start the downloading and installation process. Updated Lapis iOS does have slow download speed, to overcome which the developers are working on and have promised to fix and implement a better solution. Check out this best alternative application: “TweakBox App Download on iOS 2019 Step by Step Guide“. Third Party Store: “AppValley v2.0 on iOS 12.2, 12.1/12+ No Jailbreak (Full Guide)“. Well, most of the times we struggle with several tweaks and modifications to install a third party or the store that let you install the third-party apps because most of them need jailbreak. But in case of Lapis VIP download, we don’t need to jailbreak. The installation process of Lapis VIP iOS without jailbreak is as simple as a cakewalk. The process is simple because we the app store is a web-based application and we just need to add the app on the home screen of our devices to have the easy access. So, let get through the process of bringing the Lapis VIP iOS icon on the home screen of our iOS devices (iPhone/iPad). Though the Lapis VIP iOS is a web-based application you can still place its icon on the home screen of your iOS device (iPhone/iPad). Lapis download process will require you to open the safari browser and head to the URL https://lapis.vip/app/, which will direct you to the webpage of the Lapis VIP iOS. Now you need to wait for the webpage to load and then you get to see the top 25 ad-free tweaked iOS applications on the main page, all set to download. Tap the share button that appears in the bottom menu of the Safari browser and selects the option of “Add to home screen”. There you go! Now you can have quick access to Lapis VIP from your home screen on your device (iPhone/iPad) and can download the tweaked apps and hacked games for free in minutes. And, That was it! So, what are you waiting for? Go get the icon added to your home screen and access a ton of tweaked apps and hacked games all for free! HiP4U for iOS | Download HiP4U on iPhone/iPad Without Jailbreak (Update).